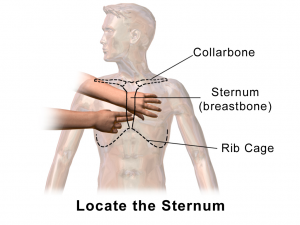 You are here: Home / Blog / Do You Know How To Perform CPR? 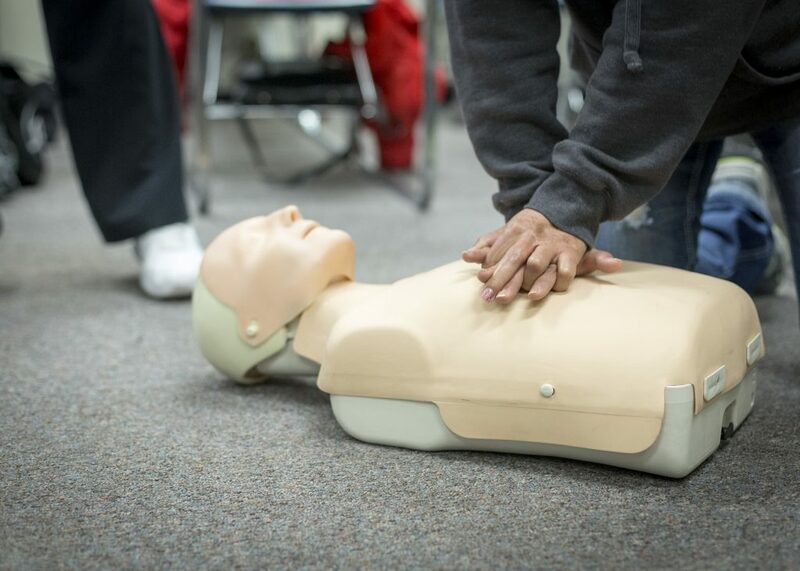 Do you know how to perform CPR, cardiopulmonary resuscitation? If not, it’s a good idea to learn. You never know when you’re going to be thrust into a Good Samaritan role, so why not be prepared? 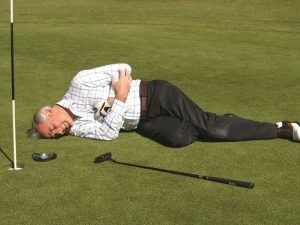 Each year in the United States more than 350,000 out-of-hospital cardiac arrests occur, some even on a golf course. Unfortunately, only about 46 percent of those cardiac arrest victims get the immediate help they need before professional help arrives. Sadly, 90 percent of those people who suffer out-of-hospital cardiac arrest die. Usually, when cardiac arrest happens there’s no warning. Such was the case last spring when a Vernon, B.C. golfer suddenly collapsed after hitting his third shot on the ninth hole at Predator Ridge. Luckily, his playing partner—a man he’d met less than an hour before–knew CPR and began it immediately. He continued for 20 minutes until help arrived and he was relieved. The golfer lived and the Good Samaritan received an award for his efforts. According to the American Heart Association, when CPR is performed in the first few minutes of cardiac arrest you can double or triple a person’s chance of survival. Here are several more CPR facts, courtesy of AHA. During CPR, you should push on the chest at a rate of 100 to 120 compressions per minute. To achieve that goal, sing the Bee Gees hit song “Stayin’ Alive” in your head. It’s the perfect beat! When performing CPR, you can tell if it’s working if the chest rises with ventilation. It’s hard to determine chest compression results in a pulse. Do the best you can and don’t stop. It’s better to perform CPR imperfectly than not at all. Don’t worry about cracking a rib. 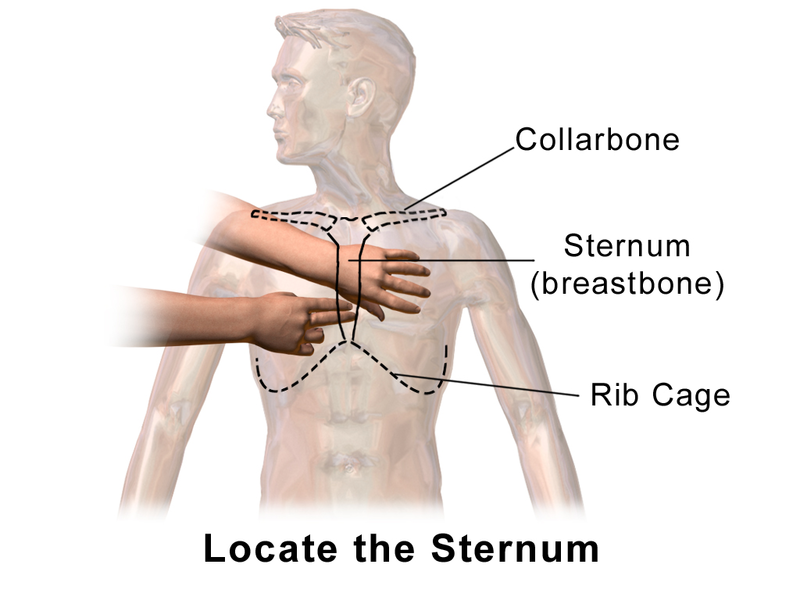 Frequently, ribs are broken with the pressure CPR places on the sternum. Some studies quote up to 30 percent of cardiac arrest victims have broken ribs as a result of CPR. This happens more frequently with older victims since the cartilage is less compliant and the bones more brittle. But remember, it’s better to have a cracked rib than the alternative. When performing CPR, you could theoretically be sued, but there has never been a successful suit against someone performing CPR. And yes, if you give CPR for a medical emergency, Good Samaritan laws cover you. If you are administering CPR and the victim moves an arm or leg, they don’t need CPR. To that end, do not stop CPR until help arrives, or the victim starts to move. If you do CPR on a person whose heart has stopped beating, there is a 40 percent chance the person will live if a defibrillator can arrive within 10 minutes to shock the heart. And finally, if you are alone and don’t know how to perform CPR, call 911 and ask the emergency dispatcher to give you instructions over the phone. Check with your local fire department for CPR classes, or take the class online. You can never be too prepared when it comes to saving a life. I would tend to not want to pretend to be a protected class of a Dr. as I do not want to get sued, for doing it wrong, or saving the life of a “ do not save person” . yes life savers, aka: regular un protected folk have been sued trying to be the “ right person”. As to my life, well when it’s my time, so be it. There is what’s called the Good Samaritan law which protects you from lawsuits when acting in good faith. I have to say with all the great information I have seen on this sight this had to be the best yet! IT’S LOVE SAVING! A repair we should all learn. Larry, you’ll be begging for someone to perform CPR on you when you need it cause it may not be “your time”. This article is about saving a life not a forum for some halfwit like yourself to spout off. I am a certified CPR/AED instructor and I fully agree with till program.. the other imporant point is to see if your favorite RV park also had an Automatic External defibrillator. AED. It is important to start good CPR immediately . and get an AED to shock the person as soon as possible. every second is critical.